Interested in attending our 2019 Summer Institutes? Wayfinder Institutes provide you with the training you need to successfully implement Project Wayfinder in your classroom. 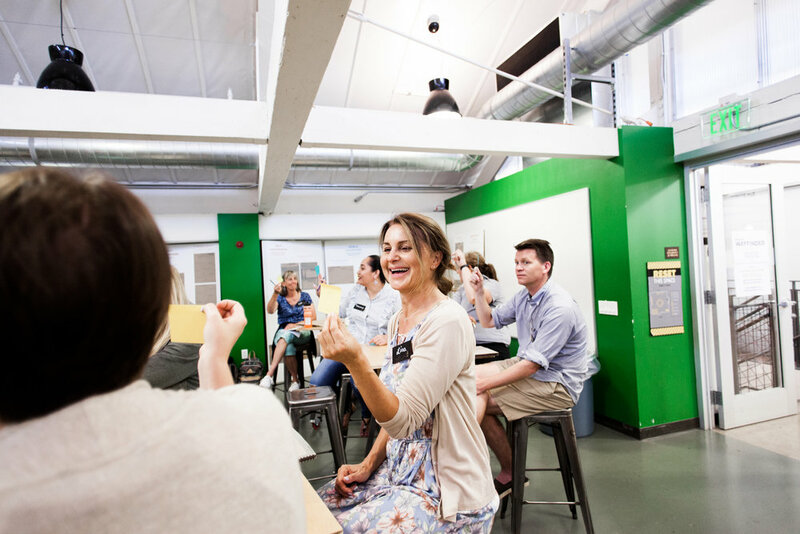 In 2018, we hosted two Wayfinder Institutes at Stanford University and Brown University with 93 educators from 55 schools/organizations across 17 states and 8 countries. Why come to a wayfinder Institute? - Develop a plan to incorporate the Wayfinder Toolkit into your organization. Educators are highly encouraged to apply in our early-bird application round -- applying early gives you a greater change of acceptance. The program is open to high school and college educators. We are still deciding if our program will be open to middle school educators, please check back with us in January. Wayfinder Institutes are ideal for training 2-7 educators from a school or program. We highly encourage schools to bring at least one teacher and one administrator - we find that this helps with implementation upon return to your school. Priority for admittance will be given to teams with one admin and one teacher or more. Also, student mentors are welcome to join your school group if you are thinking of implementing a peer mentor model (something we strongly support). If you are interested in training 8 or more educators from your school/program then it would be better for you to host an On-Site Training at your school. The enrollment fee for our 2018 Wayfinder Institutes was $1100. This includes lunch + snacks. Lodging and dinner not included.